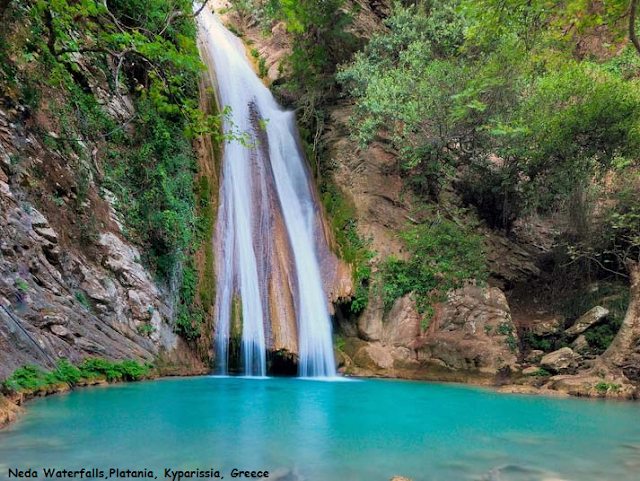 The Nedas Waterfalls are located on the southern side of Olympia, in the borders of Ilia and Messinia of Peloponnese. They are also very close to the ancient Figalia. The waterfalls’ waters are stemming from the Mount Lyceo, located near to the villages of Petra and Kakaletri in Messinia region. The water forms a path of natural wealth of thirty two kilometers and finally reaches to the Ionian Sea, at Elea region. The best season for visiting the waterfalls is in summer or in autumn as the river has less water making swimming much easier.